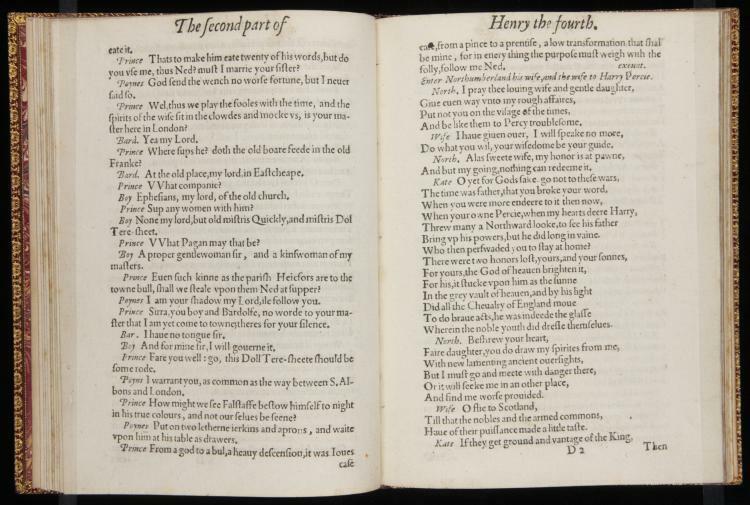 The lines, which anticipate the lamentations of later Shakespearean lovers like Ophelia and Cleopatra, found their way into later editions of the play, but were notably excised, along with many other lines, from the 1600 quarto copy. 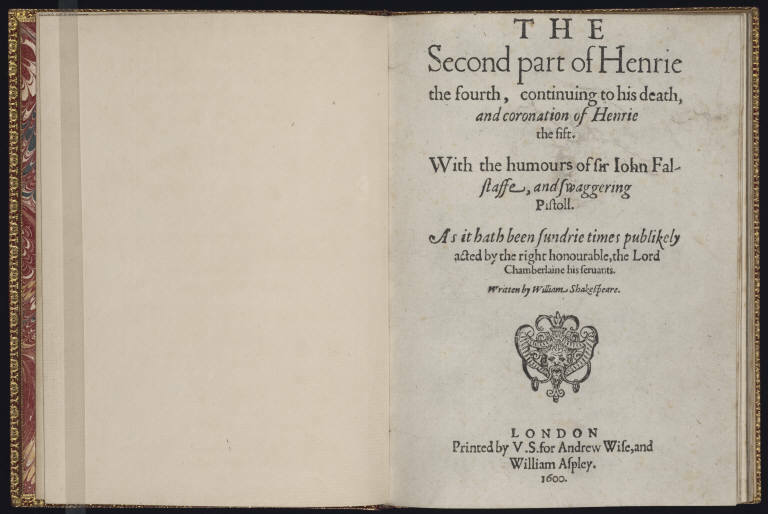 It has been speculated that contemporaneous political circumstances may have made the rebellion depicted in 2 Henry IV a sensitive subject for the Elizabethan censors who would have been tasked with looking over plays for potentially seditious material. The recent failed rebellion led by the Earl of Essex, which prompted Queen Elizabeth to bristle at Richard II, could have turned the machinations of Bolingbroke’s enemies, in 2 Henry IV, into a subject requiring some delicacy around 1600. Reading, though, is a messy business—-the reading of censors especially so. There was much to be sifted through, and little time to do it in. And so what might have struck a censor, shuffling through many pages a day, as politically dangerous, might have struck a playgoer or a later reader as a welcome flourish, or as the memory of a rebellion that had failed to “fashion others” in its mold. I am enjoying this blog every bit as much as I have enjoyed the exhibit. Rich material, beautifully presented. Bravo, Matt!